Workman Publishing Company, 9780761189251, 384pp. 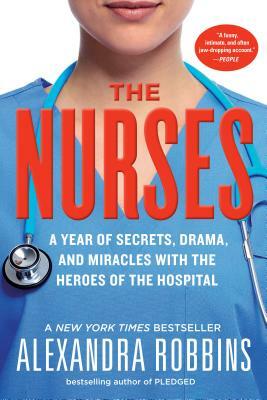 Nurses is the compelling story of the year in the life of four nurses, and the drama, unsung heroism, and unique sisterhood of nursing—one of the world’s most important professions (nurses save lives every day), and one of the world’s most dangerous, filled with violence, trauma, and PTSD. The result is a page-turning, shocking look at our health-care system. Alexandra Robbins, winner of the prestigious 2014 John Bartlow Martin Award for Public Interest Magazine Journalism, is the author of four New York Times bestsellers, including Pledged and The Geeks Shall Inherit the Earth. She has written for The New Yorker, Vanity Fair, The New York Times, and other publications, and has appeared on numerous television shows from 60 Minutes to The Colbert Report.